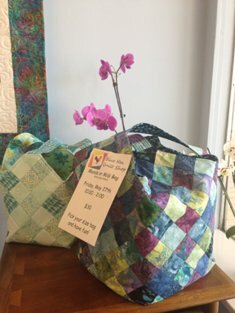 As I sit here watching the Ladybug Quilt Guild work on their modern vortex quilts with Debby Kratovil in the classroom, I am reminded that we've got some spectacular classes coming up here at the Blue Hen Quilt Shop over the next week or so. And no, its not too late to sign up! 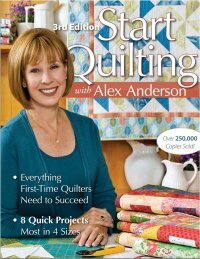 This class is perfect for anyone wanting to make quilts by machine, but not sure how to begin. It’s hands on and covers what every beginner needs to get started, including basic terminology, tools and techniques. Three of the most common shapes in quilts - squares, rectangles, and triangles - are covered in the seven blocks taught. The end result is a wonderful sampler top ready for quilting! 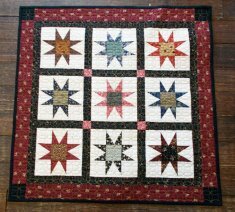 Join Linda making this terrific little star quilt! This wallet will definitely turn some heads! It’s the perfect accessory and so simple that even a beginner can do it. 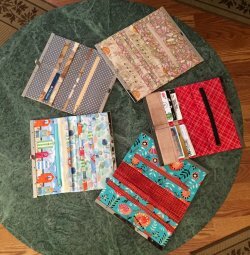 You’ll want to make one to go with every bag you have! You can even use it as a clutch. Fast and fun project using the Quiltsmart technique! Bring what ever you are working on and set yourself up! We've got large tables if you need to baste a quilt and a great raised cutting table for all lots of cutting as well as lots of good experience to answer any questions you might have.